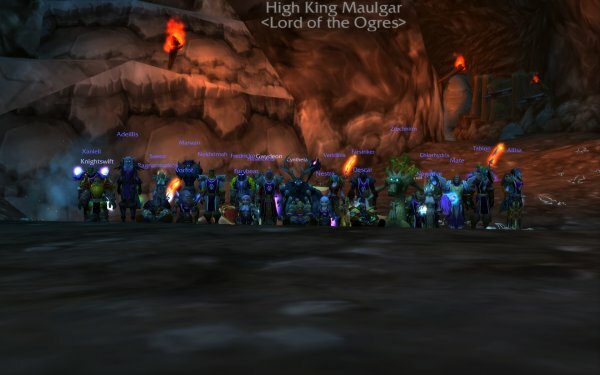 We returned to Gruul's Lair after the reset, and had the neat result of killing Maulgar twice in 48 hours. It was a bit of a flashback to the old days of Naxxramas and the like. After some initial pulling concerns, Maulgar stood no chance. We headed up the tunnel of doom (some will claim love) and dutifully wiped on trash as is the SI way (thanks Nestra). Picked ourselves up, and learnt the ropes of this annoying encounter. Annoying if only for the deceptiveness of not reaching your growth benchmarks of 8-15% per growth. Special thanks to the reserves on hand as always; 25M content is making life difficult for those having to select the groups. Okay, so we cleared Karazhan and then took a little holiday. No biggie, a lot of people enjoyed the break from raiding and took a more casual approach to Karazhan. The result is that the 2nd group broke through and are now progressing beyond Aran, which is excellent news. 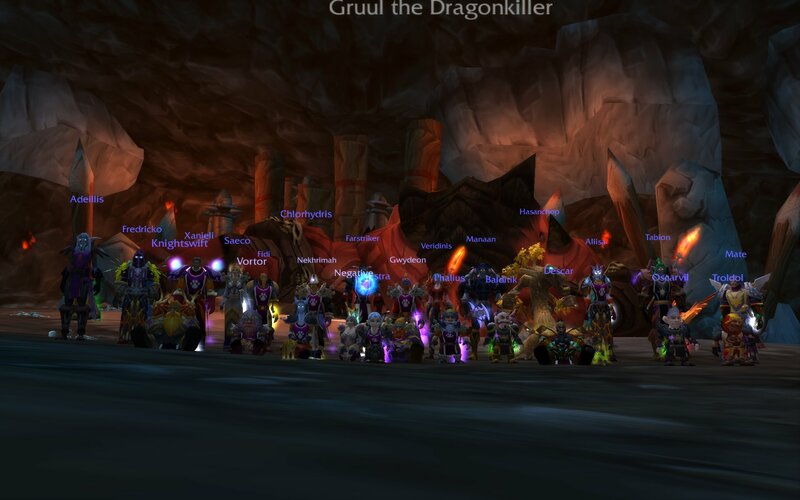 We ventured forth into Gruul's Lair tonight after a few weeks of scheduling issues (well, warrior issues per say...) and the result was typically SI. Once we can actually invest some time into the place, we reap the results. Not before generalised QQ about lack of progression, mind you! 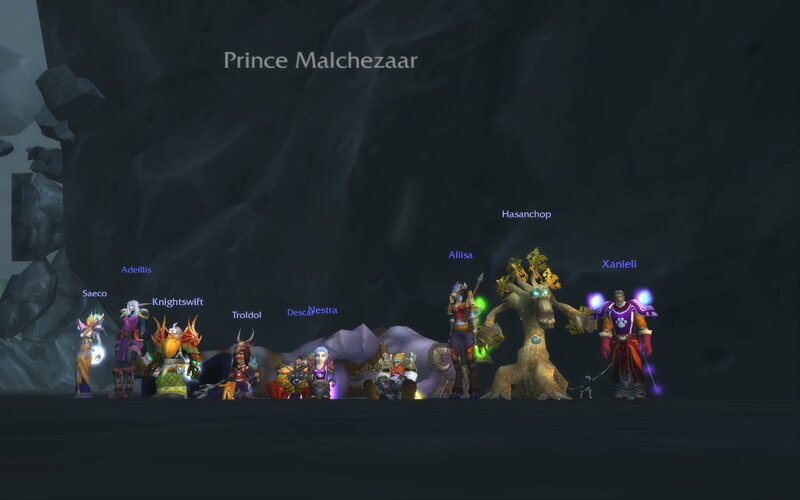 Special thanks to all who attended on short notice - it was originally going to be a Karazhan night for the 2nd group. Special thanks also to the guys that missed out on the raid because they had to go during the raid (Balditik), were on reserve (Amnion, Zedrif, Florionbeel, Tomminz, Tenel, Troldol) or just plain missed out on the invite (Icet, Phalius). The gang went back into Karazhan today, after a rapidly quick few days raiding earlier in the week. 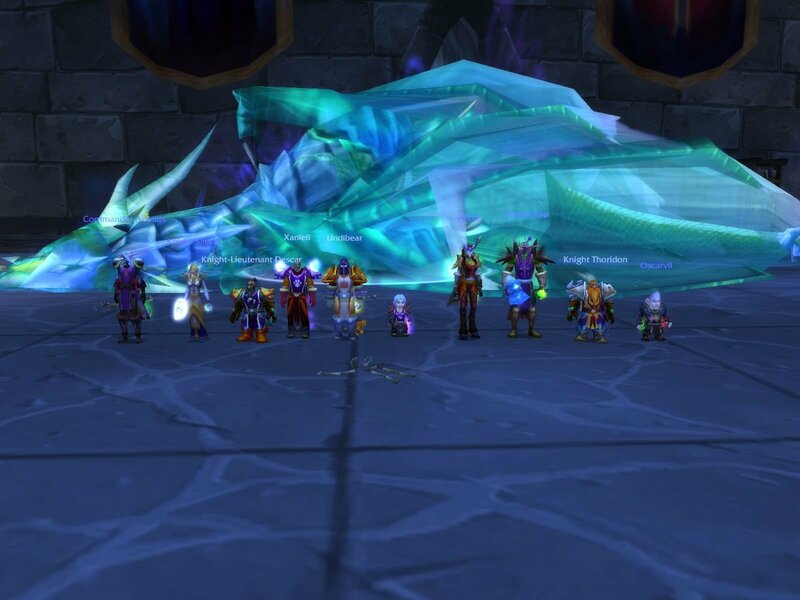 After spending a relatively short (compared to other bosses) period of time learning the fun of Nightbane, he was defeated. 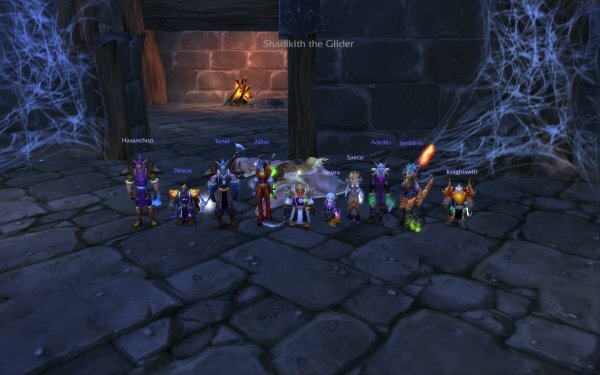 At this point, we'd like to thank every player that has stepped into the instance to help the guild progress and defeat this instance. Even if you pinch hit, or came along for some rep (bench warming) - your efforts contributed to this clear. Progression speed increases when I disappear, so with that in mind the group of troopers defeated Netherspite recently. The ghostly looking dragon with beams of light is gone. Personally, our secret strategy to progression is the presence of orange tabby - present in the majority of first kill shots since 2005! The second group is also making great progress, moving past Curator and onto Aran. On top of Karazhan, there's this guy that summons infernals and generally freaks you out with flying spinning axes. We had some shots at him the other night, and came back today determined to cleanse Karazhan of this foul beast. It would appear we succeeded. 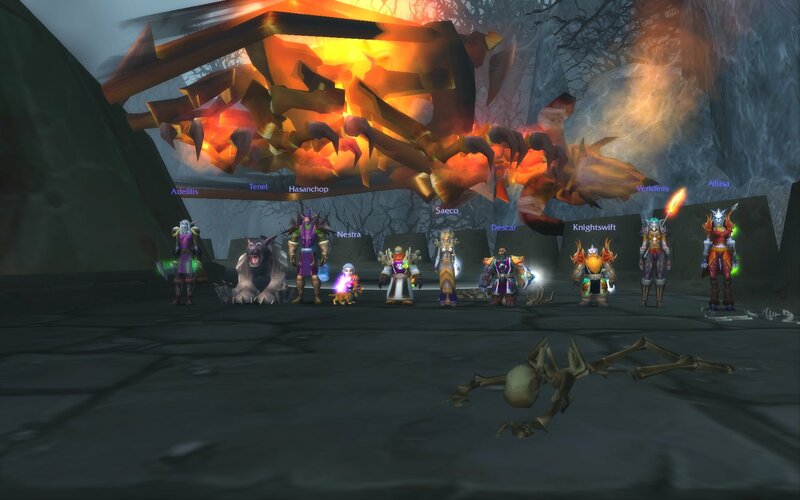 Unfortunately, we can only take ten - so special thanks to those that missed out on the kill but broke the encounter in. What class was the first character you created in WoW? Wtf is this "WoW" you speak of?